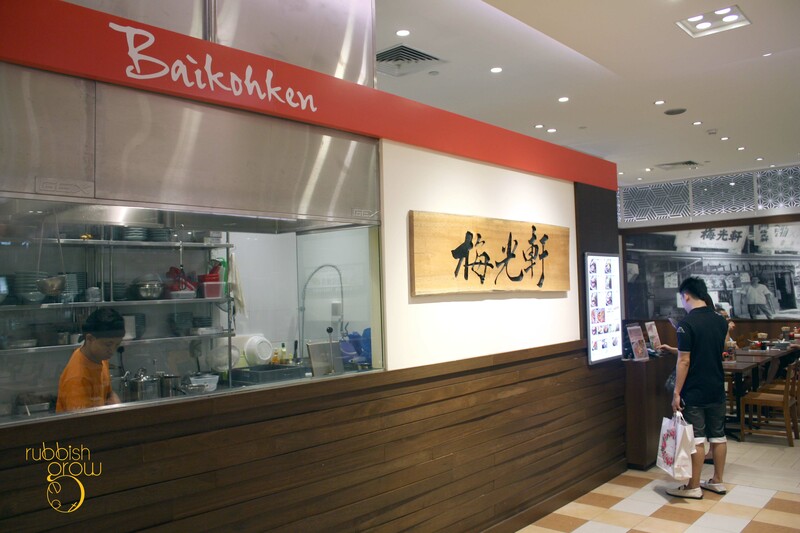 Exploring Takashimaya basement after gym and stumbled upon Baikohken. 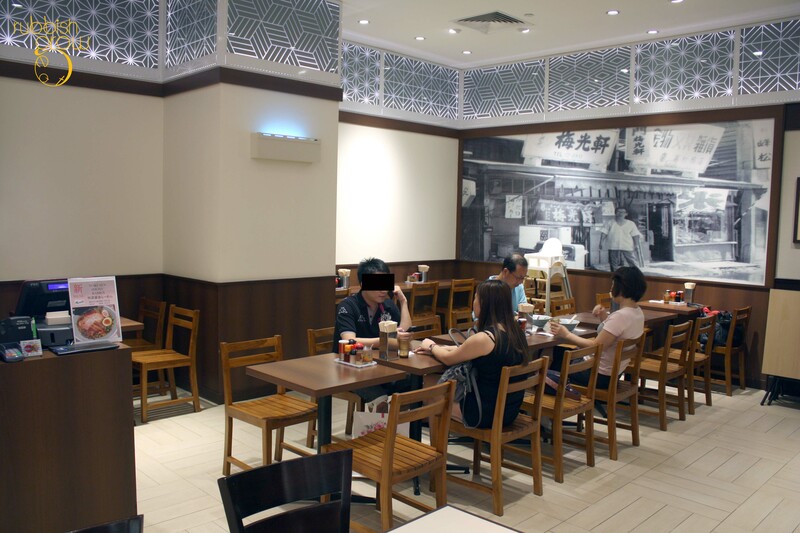 Founded in Japan in the year 1969, it first opened in Singapore on 28 May 2008 with its flagship shop at North Canal Road. It serves Asahikawa-styled ramen (a city in Hokkaido), and if you know your geography, Hokkaido is a cold place and so to counter the frost, the flavors tend stronger. But not in Singapore. In Singapore, the flavors are adjusted to the locals so that it isn’t that salty. Between the shio-based (salt) and shoyu-based (soya sauce) broth, the cashier recommended the latter. Rumors of it being generous are, unfortunately, not true. A full bowl of ramen ($13.50) comes only with 2 pieces of chashu (pork) and a half bowl ($10.50) comes only with 1. The ajitama (egg, $1.50) is priced separately. Topped with 3 pieces of giant menma (Japanese bamboo shoot), as clearly stated on the menu, and spring onion, the ramen is super shiok! 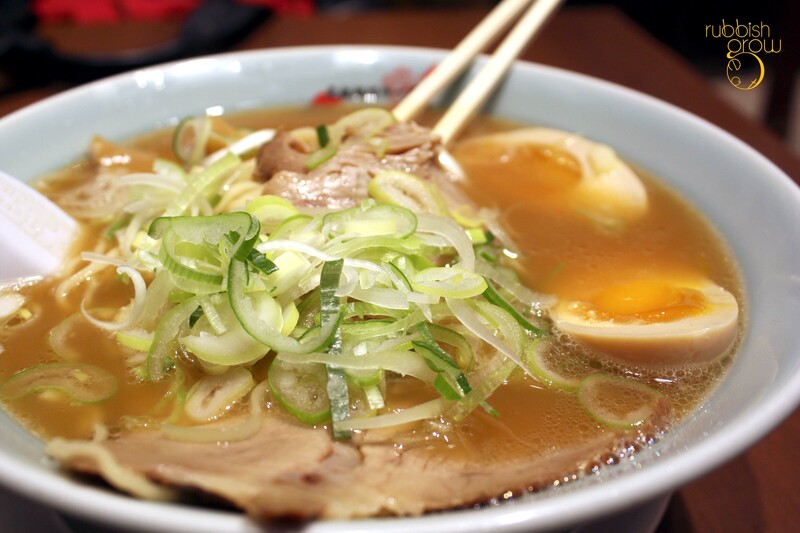 The broth is buttery, the noodles bouncy, and the egg yolk runny. There isn’t anything exceptional about each item but when put together, they form a whole that is greater than its parts. There were Japanese who sat next to me, attesting to the awesomeness of the food. The service is decent too. You pay the counter, take a seat and immediately a server serves you a glass of iced water. I came without much expectations but left very contented. I slurped the soup till the end. It was worth running the treadmill to eat this bowl of ramen. founded in Singapore 2007 btw.